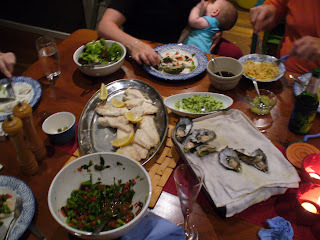 So the other week we had some friends over for dinner. Initially I was given the impression it was just the adults coming so I started planning a fancy-pants three course evening of taste sensations. But then I remembered who we were asking – the same couple who piked on my birthday dinner because they … Continue reading "Fish with broccolini, olives and tomatoes"